HomeBack In StockNEW Kleva Gutter Cleaner PLUS Pro Attachment! + FREE Gardening Gloves! FREE POSTAGE! Or 4 x $25 easy payments interest free with Afterpay. 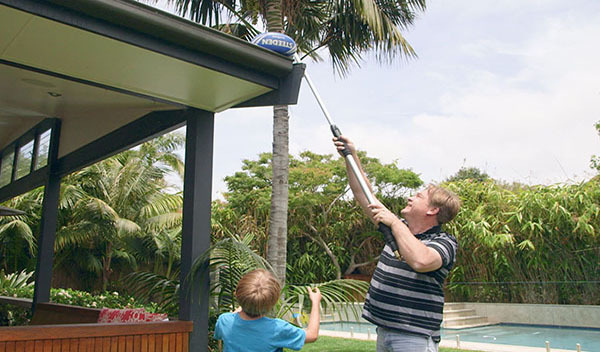 Telescopic Kleva Clean Gutter Cleaner is the safer, faster easier way to clean your gutters. Now you can blast away leaves, mess and dirt quickly and easily with both feet firmly planted on the ground. 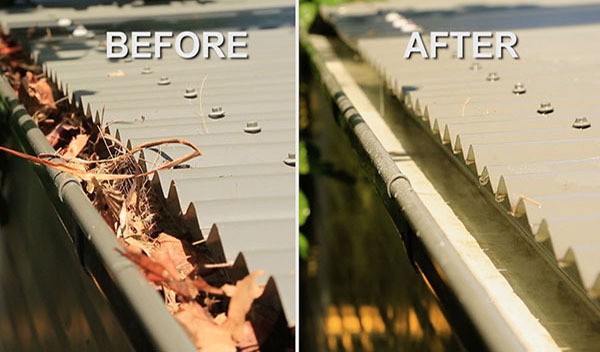 Blocked gutters can be a fire hazard and cleaning them yourself can be difficult and dangerous. 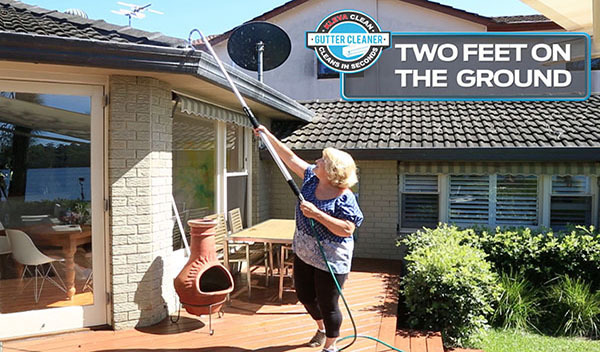 But now thanks to the amazing Kleva Clean Gutter Cleaner, you can clean your gutters with ease and in just minutes, because it does all the hard work for you. 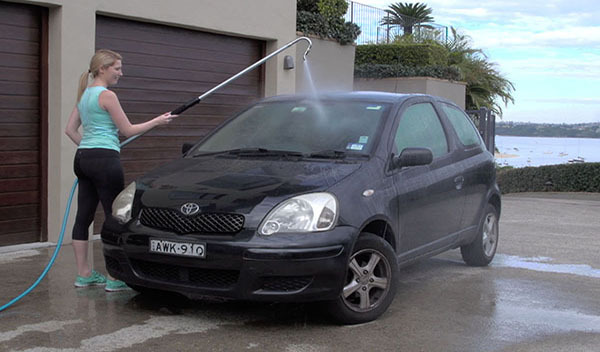 Plus with the addition of the Pro brush attachment, you can power blast the grime off your car, garage, pool, even your windows! 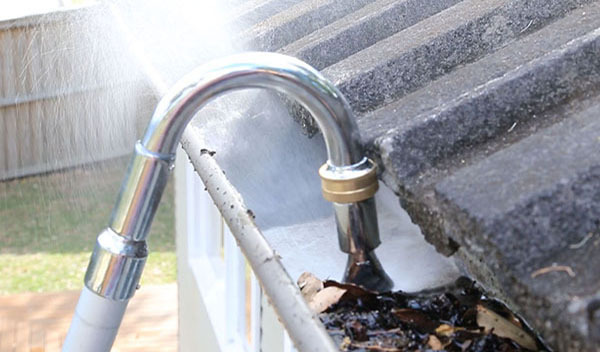 The Gutter Cleaner features a high velocity, jet spray nozzle to concentrate the pressure, to easily dislodge all the imbedded dirt. 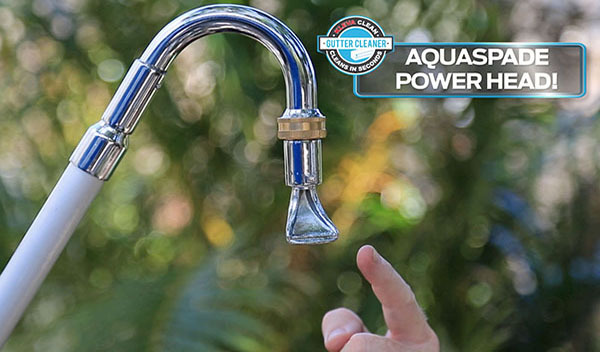 And thanks to the Aquaspade power head that rotates incredible 180 degrees, you can quickly clean your gutters either left or right handed quickly and easily. 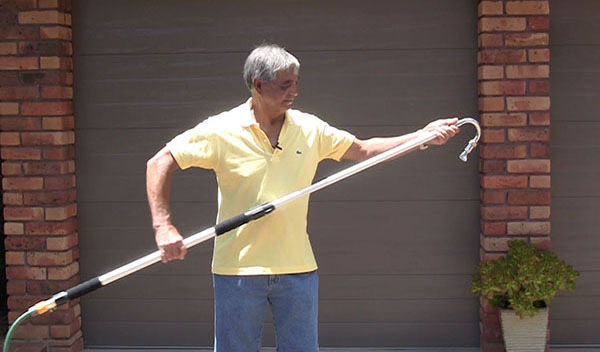 And with the Pro attachment, you now have a broom, brush and bucket all in one! 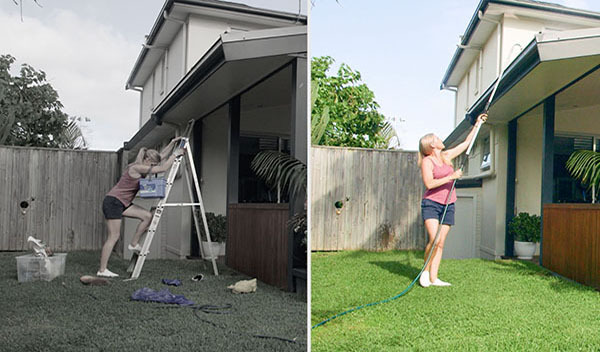 The secret is in the lightweight premium grade aluminium construction handle that extends nearly 2 metres long to annihilate all the dirt, leaves and even twigs from your gutters with ease. 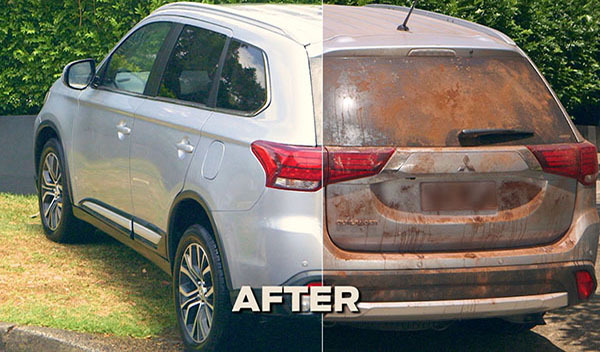 It’s the ultimate in outdoor cleaning power great for canopies, garage roofs, hard to reach places and to power blast your cars and caravans. Plus because it extends it’s also ideal for washing windows and so much more. Used the item to clean my gutters as well as blast water into the down pipes to clear leaf blockage at the opening. In both instances, the product worked EXACTLY as shown in the promo video and it could not have been easier. Definitely recommended! 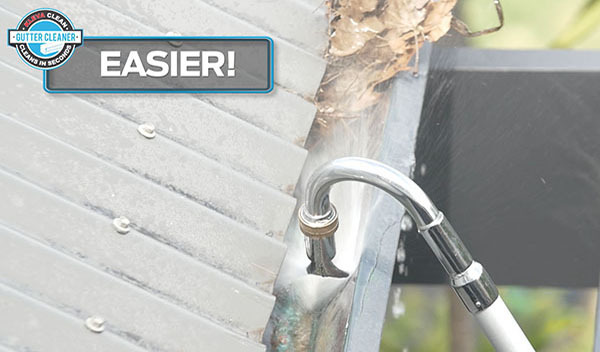 Kleva Clean Gutter Cleaner Cleans Your Gutters in Seconds!